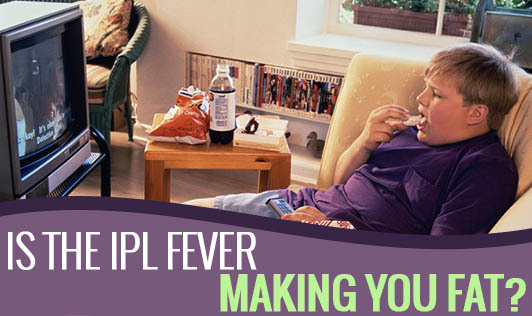 Is The IPL Fever Making You Fat? Cricket, to most Indians is not just a game of fun and celebrations, but a play of emotions that keep us so addicted to the IPL season! It's a real fever that most of us go through. The match keeps us awake all night and don't we all need some food for accompaniment? What is it that most of us end up eating? Some chips, some biscuits, bananas or may be some unhealthy snacks soaked in oil? The match starts at 8 pm, when some of us sit down for dinner. After about 2 hours is when you start getting hungry, and so, you look in the kitchen and end up eating some unhealthy food that is easy to get your hands on. If you are trying hard to lose weight, you may be in trouble every time you put that piece of chips in your mouth. Here are some options for you to make your late night snacks as healthy as possible. 1. Hold on to a cup of green tea without sugar. Keep sipping on it through the match. You could couple it with a wheat cracker or two. For the ones heading to the stadium, have your dinner and then leave. You can opt for popcorn and bottled water. After all, it's a match for 3 hours that is going to keep your excitement going, so just watch what you eat during this time!